Specialty Powder Metals are made to a specific particle size distribution in small batches for specific alloys, such as common alloys of Nickel, Copper and Aluminum. Zirconia nozzles are commonly used for powder metal atomization. These are made by pressing and sintering large or coarse particles of Zirconia, lacking both tight tolerances and clean edges. Because of this, the process yields very uneven and erratic atomization, particularly at startup, causing wide particle size distribution. Additionally, since Zirconia is easily wetted by metals, nozzles frequently clog, further adding to the unpredictable particle sizes. Because of this uncontrolled atomization, the distribution of the powder is not known until the run is over and the powder has been classified. This ultimately results in a low yield of only up to 25%, high scrap rate and additional runs. A wide particle size distribution may be acceptable for high volume steel and ferrous powder applications where the breadth of markets and applications accommodates all particle sizes. 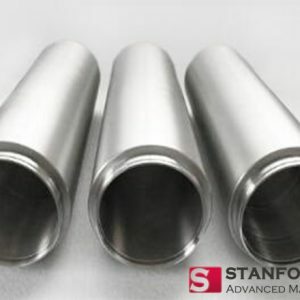 However, for specialty powder metals, such low yields, high scrap rates, and frequent nozzle replacement due to wear and clogging add to an already expensive process. Developed for demanding applications requiring the combination of thermal shock resistance, high wear resistance, extreme wet- and corrosion-resistance, ZSBN is a composite material. 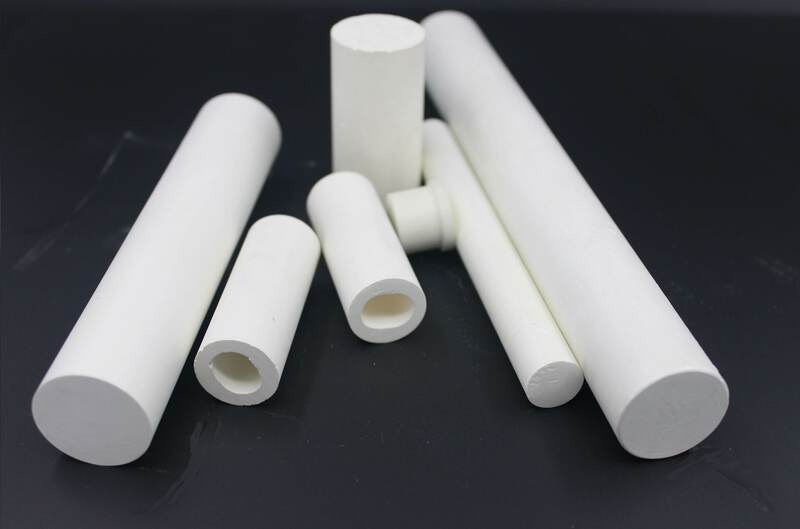 It combines the best thermal performance and machinability of hot-pressed boron nitride with the strength and wear-resistance of Zirconia. 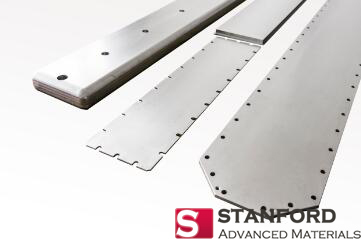 It is especially suited for molten metal applications where wear resistance and thermal conductivity are essential. ZSBN nozzles are made by machining solids of hot pressed micron size particles, therefore providing a very smooth finish as well as tight tolerances. Such precision in nozzle formation leads to a much controlled atomization and reduced variations from run to run. With a stable and predictable particle size distribution and yields about 30% higher than that of Zirconia nozzles, ZSBN offers a superior alternative to specialty powder metal atomization. • Smooth surface finish and tighter tolerances provide predictable particle size distribution from batch to batch.